Fall is here and you know what that means, pumpkin everything! No seriously, everything! 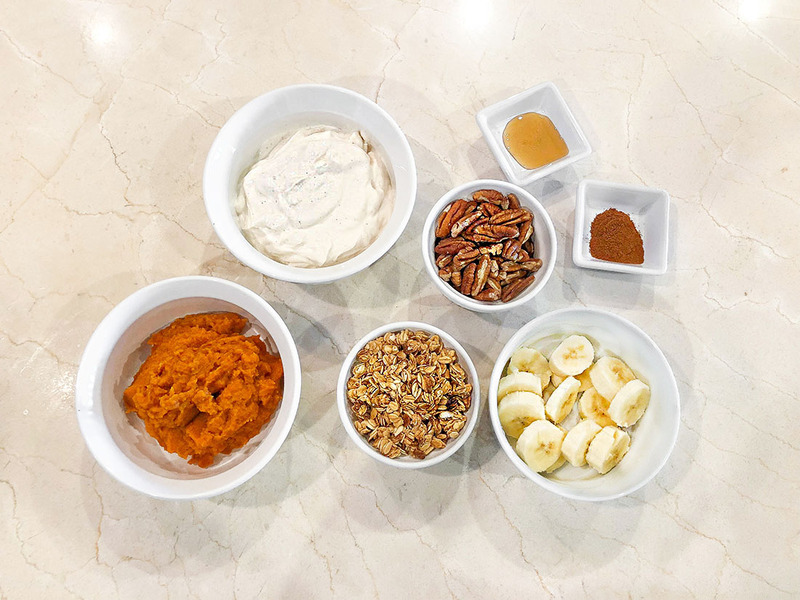 This Pumpkin Greek Yogurt Power Bowl recipe is everything you need for those chilly fall mornings—or 80º mornings if you live down south. 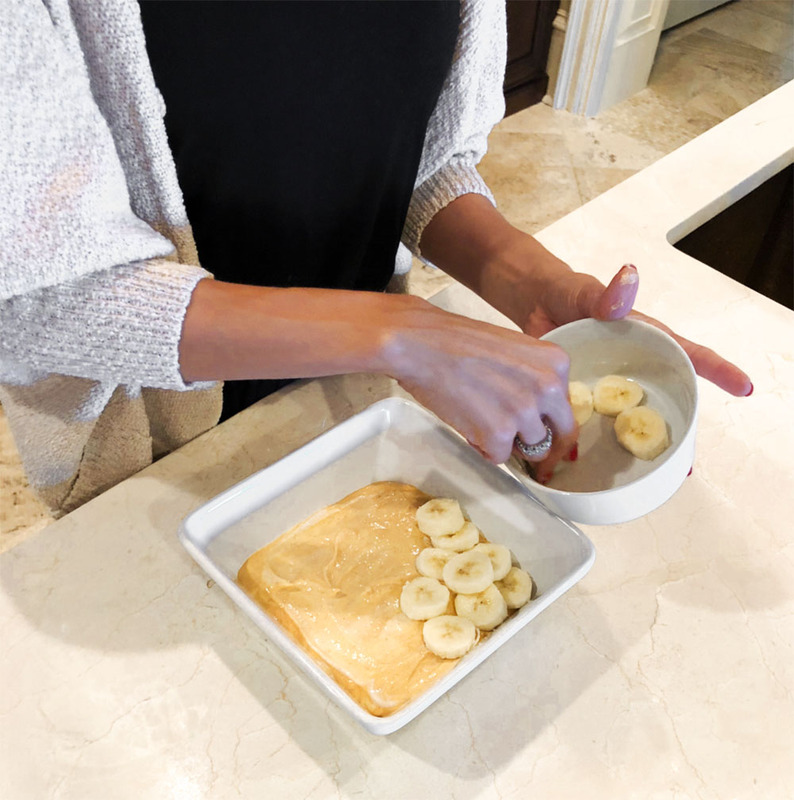 Either way, this quick and easy recipe is the best way to start your morning! It’s packed with protein and fiber to keep you full and going all day! First off, I love Siggi’s Greek Yogurt because they only use real, simple ingredients and no artificial sweeteners. One little cup has 15 grams of protein and their vanilla cinnamon flavor is perfect for mixing with the organic pumpkin purée. Just add a pinch of cinnamon or pumpkin pie spice for a delicious base and then layer away! First, I like to start with bananas because they are high in fiber, antioxidants and can help to stabilize your blood sugar levels. 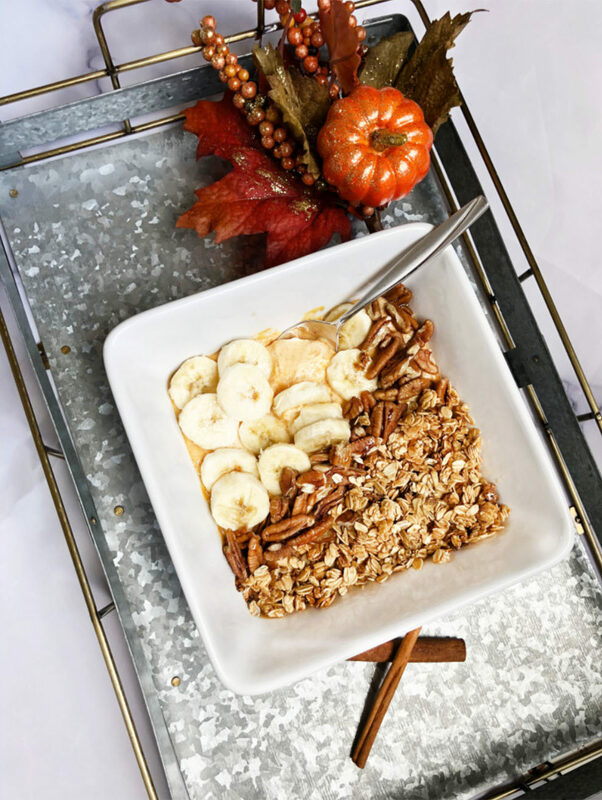 Next, I add pecans because they are shown to help with a variety of things such as having anti-cancerous properties, strengthening the immune system and even helping with beautiful skin and hair because of the many vitamins, minerals and antioxidants they contain. I also love to add some granola! There are a handful of varieties I like but I try to find ones that are organic and don’t have a lot of clumps. 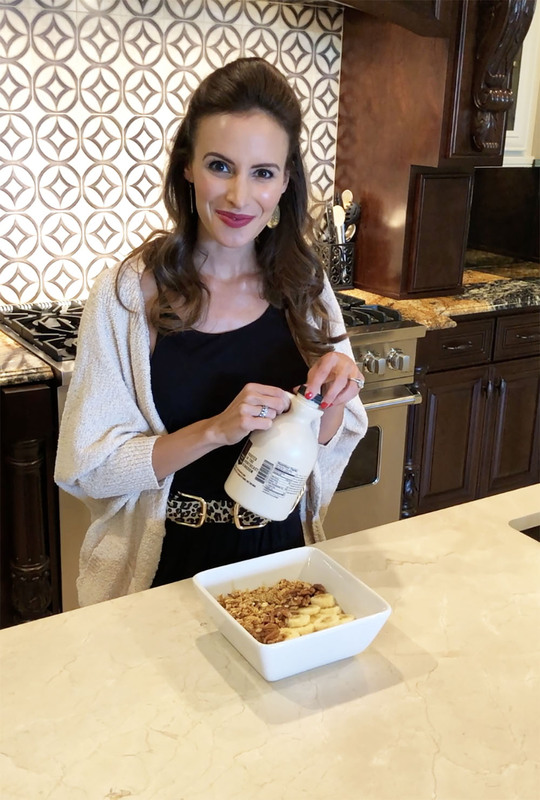 When granola is clumped, it’s generally a sugary substance holding the oats together, so always make sure to check the label for how much sugar is actually in there. Also try to choose varieties that are rich in fiber. Finally, I like to drizzle a bit of pure maple syrup on top. I tend to choose maple syrup over honey because maple syrup has less overall sugar and more minerals then honey. No better way to feed your pumpkin addiction than by making this perfect fall recipe! And it’s healthy for you —definitely a win-win for me!